Meghan Markle will soon become a member of the British royal family, which commands a fortune over $500 million. If Markle accepts an allowance or other form of "income" in the UK exceeding $104,100, she will have to pay US taxes on that money. Meghan Markle will soon become the newest member of the British royal family, which commands a fortune over $500 million. But romping in their riches may cost her extra. Markle is a citizen of the United States and is purportedly living in the UK on a family visa, according to the BBC. As the fiancée of a British citizen — Prince Harry — Markle will have to marry within six months of obtaining the visa to maintain her status. Markle's family visa will be effective in 2.5-year increments and she won't be granted permanent residency until she's lived in the UK for five years. After that, she can finally apply for UK citizenship and potentially become a dual citizen of the US and the UK. All the while, the "Suits" actress will be paying taxes to the IRS on any income she makes — regardless of where she earns it. "US citizens, green card holders, and permanent residents are required to file tax returns with the IRS every year no matter where they reside," Avani Ramnani, director of financial planning and wealth management at Francis Financial, told Business Insider. "This is a special tax return called the expatriate tax return," she said. "US citizens, including Meghan Markle, get taxed on international income earned outside the US." 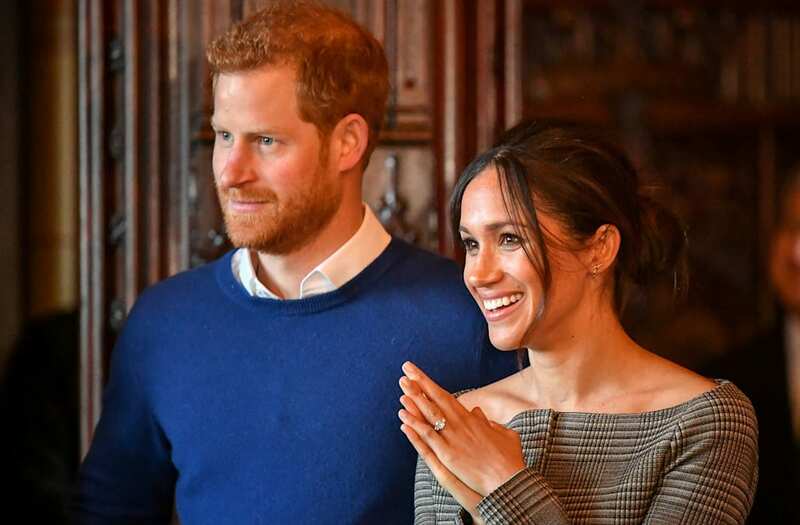 But Markle may qualify for the foreign earned income exclusion, Ramnani said, which in 2018 waives taxes on the first $104,100 of income earned in the residing country. But that doesn't include income from investments. Since the age of 21, Prince Harry and Prince William have been receiving a $450,000 a year investment profit from their late mother's estate, which they pay taxes on to the UK government. They, and Kate Middleton, also receive an annual seven-figure allowance from their father, Prince Charles, which is used to cover expenses like travel and wardrobe. "The key for Meghan and her advisors would be to figure out what type of income she will be getting," Ramnani said. "Will this income be from the investments of a trust, or 'wages' for any work that she does, or any other type of income? Sometimes, getting one form of income is more advantageous than another." Markle may also qualify for a foreign tax credit, which allows tax on any income exceeding $104,100 to be reduced depending on the amount of taxes paid in the expat's country of residence. But, Ramnani said, "this credit may not be dollar-for-dollar as there are a lot of factors that come into play." There's another US tax provision called the foreign housing exclusion, which gives the taxpayer an additional deduction or credit for living expenses abroad. It does not include "expenses that are lavish or extravagant under the circumstances." As the Washington Post first reported back in November, Markle could "cause tax headaches" and create some "mundane hurdles" for the royal family. If she becomes a dual US/UK citizen, Markle will have to continue filing her taxes each year with the IRS. If she has more than $300,000 in assets at any point during the year, she will have to file a specific form that details foreign assets, which could include foreign trusts, subjecting the royal family "to outside scrutiny," according to the Post.